Pooki’s Mahi is experiencing steady growth without taking venture funding or a loan and has consistently landed large customer accounts. Expedited shipping is included in Pooki's Mahi orders - two days for coffee subscriptions, wholesale coffee club orders and drop ship orders from approved resellers. Silicon Valley startup Pooki’s Mahi® announced today it achieved 96% customer retention and increased 100% Kona coffee subscription orders by including shipping to the Lower 48 states without charging a membership fee. Pooki’s Mahi is experiencing steady growth without taking venture funding or a loan and has consistently landed large customer accounts. “Expedited shipping is included in Pooki’s Mahi coffee subscriptions, wholesale coffee club orders and drop ship orders from approved resellers. Pooki’s Mahi averages two days to deliver coffee subscriptions, four days for private label products and up to ten days for international customers,” continues Les Magsalay-Zeller. The Silicon Valley based startup built processes to automate fulfilling orders from coffee subscriptions and wholesale coffee club customers on a consistent schedule. Pooki’s Mahi Founder/CEO took an analytical approach to measure the new production introduction process and improve inefficient areas in the supply chain. The investment to automate operations inefficiencies within Pooki’s Mahi supply chain paid off. 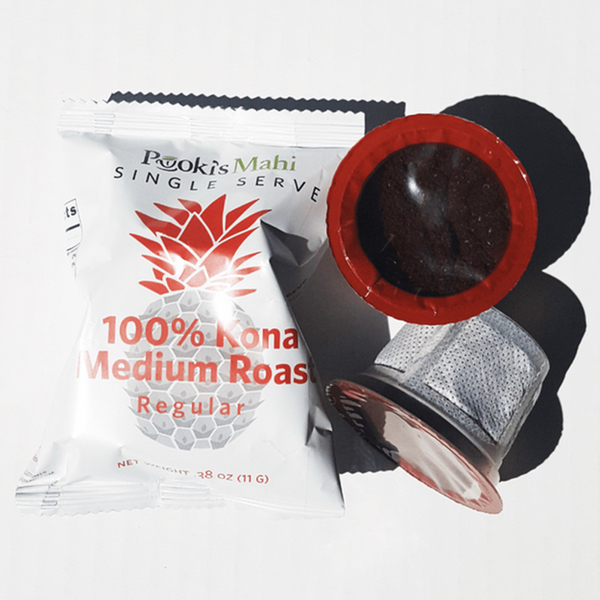 Pooki’s Mahi coffee subscribers, wholesale coffee club customers expect expedited shipping, best Kona coffee pricing and real time updates to orders. Expedited shipping takes two to three days for orders to arrive. Customers that ordered coffee subscriptions received their orders between one to two days. Pooki’s Mahi wholesale Kona coffee orders average three days to arrive at the final destination. Orders received by 9:00 am PT ship the next business day. Pooki’s Mahi extended partnership with Fedex as its global transportation carrier. The Silicon Valley based firm added USPS Priority to handle specific regions. Expedited shipping included in coffee subscriptions or wholesale coffee club orders. Orders received by 9:00 am PT ship the next business day. Signature required for Kona coffee orders in select zip codes. Tracking information for orders are pushed to the customer. Customers must pay for next day shipping. Pooki’s Mahi does not offer same day shipping. Pooki’s Mahi passes all additional fees to customers for purchasing 100% Kona coffee pods on retail platforms like Amazon, Walmart, Jet, etc. Customers must pay for expedited shipping. Pooki’s Mahi does not offer same day shipping service. Kona coffee product listings that include shipping takes seven to ten days to arrive. 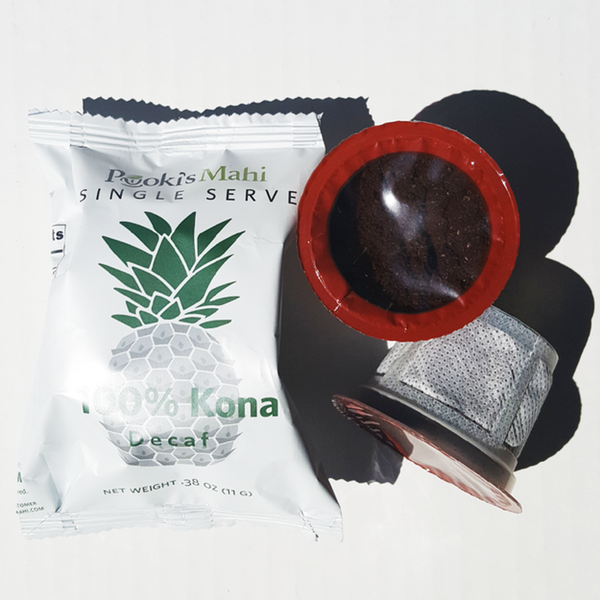 Customers will save more by purchasing Kona coffee subscriptions directly from Pooki’s Mahi. 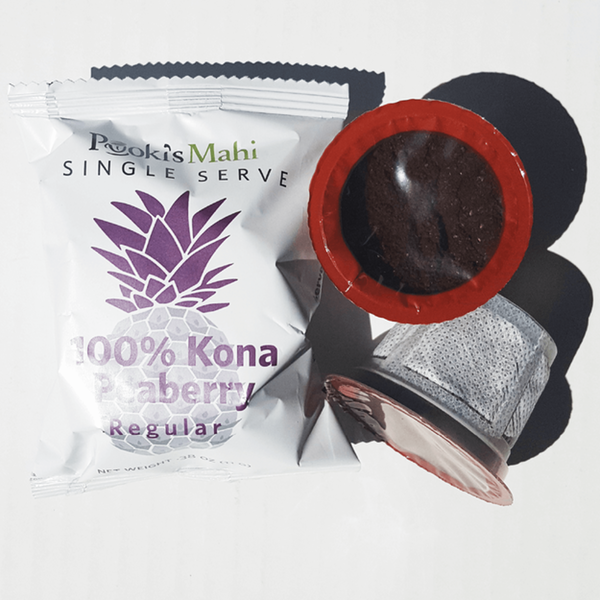 Pooki’s Mahi manufactures expensive 100% Kona coffee, luxury single-origin coffees in a mesh coffee pod for private label or customers looking for promotional products. Customers looking to pay less than $2.00 per single serve coffee pod are not a fit for the luxury food and beverage brand. Pay $40 per box with Pooki's Mahi six month coffee subscription plan. Pay $50.99 per box for Pooki's Mahi 100% Kona Peaberry Coffee with a six-month coffee subscription plan. Pooki's Mahi 100% Kona Decaf coffee from $40 per box with a six month coffee subscription plan.